The Reality of Self Driving Trucks – Fiction or Future? Drivers from across the country are beginning to see more reports, stories and studies about the automation of the trucking industry. From the increased prevalence of automated loading systems to the ever-popular Budweiser stunt put on by Otto in the fall of 2016, many sources are taking note of the self driving truck and the phenomenon that it causes. For many drivers, the first instinct when encountering the idea of self driving trucks is to approach the situation with some amount of disdain and anger for the incoming technology. To many , this autonomous mode of transport means one thing – the loss one one’s truck driving job. While this type of technology has been disruptive in other industries across the globe and caused some level of job loss, it has not yet hit the operating aspect of the trucking industry, though the fears displayed by drivers are understandable. At this time of writing, no company has officially adopted autonomous trucks as part of their fleet, but many major technology companies including Tesla, Apple and Uber have been reported to make moves towards offering this type of machinery within the driving industry. However, the area surrounding self driving vehicles is still somewhat of a grey area – what exactly is factual and what is fictional in the arena of autonomous trucking? The answer to what we know about self driving trucks is the following: very little. Since there has not been a large-scale market release to date of any truck models that do not require an operator, it is difficult to find a great deal of hard evidence about the technology. Some news sources over the past few months have provided stories that certain tech giants have been testing the technology in a relatively furtive manner in locations like Northern California and Texas. While little is known about this testing, we do know that it is happening, whether the public has full-scale knowledge or not. We also know that no autonomous vehicle has successfully completed a run entirely on its own, nor has there been a true OTR run performed by these vehicles. One cannot rule out the potential success that these vehicles may exhibit, but as of today there has not been much evidence pointing towards their overall effectiveness. 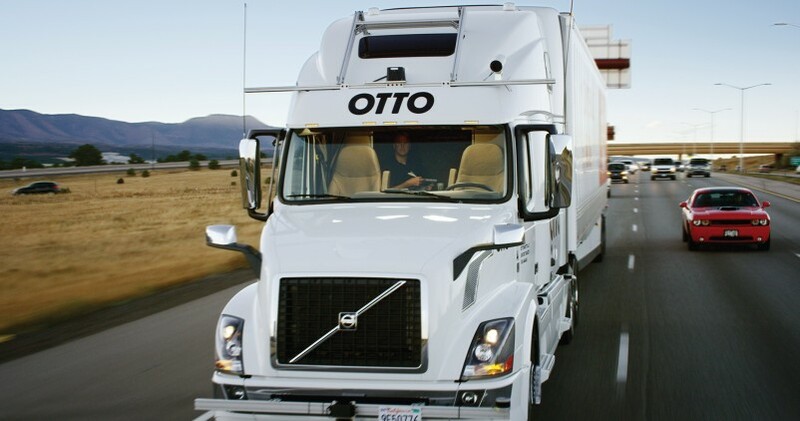 One of the most notable pieces of news that we have about these trucks comes from Otto (a subsidiary of Uber) when a delivery of Budweiser was made in Colorado last October. The 120-mile journey saw an autonomous truck complete the run in the wee small hours over Interstate-25, with an empty driver’s seat. And while the first seat may have been the vacant, the second seat was inhabited by a human operator, assisting in copiloting the truck while it made its way on the freeway as well as well as a safeguard should any technical issues arise. The truck was also accompanied by four Colorado State patrol cars and three additional vehicles from Otto. The truck arrived at its location successfully, delivering the cargo in a timely fashion. A success of sorts in promising a delivery without any wreckage, some industry experts saw the run as nothing more than a promotion from both Uber and Budweiser. Other voices in industry as well as many major news sources were up in arms on both sides of the situation, some thrilled about the prospect of self driving technology, some deeply concerned about what this enormous stunt might do to the average trucking job. How Could Self Driving Trucks Impact Jobs? Keeping in mind that one can only draw upon educated guesses and information gathered from other professional sources, it’s somewhat of a challenge to accurately predict what the self driving industry would mean for the typical trucker job. Situation B – Companies of Size: While some larger trucking companies may find themselves jumping at the idea of adopting driverless trucks, there is no projection of what the cost of these vehicles may be, much less the volume in which they may be produced. The titans of the industry may have an easy time purchasing these vehicles and implementing them into their fleets, but the smaller and mid-size companies may find it difficult to transition from a background of classic trucking to an entirely new concept. With that in mind, those who have jobs at these companies may be safe for a period of time should the self driving craze catch on. 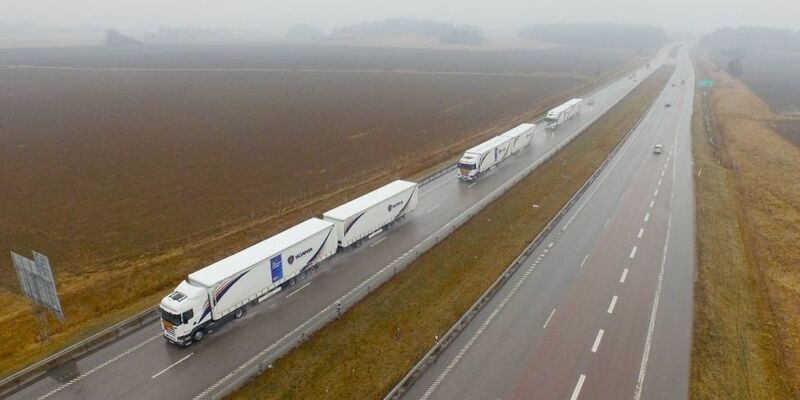 Situation C – A Driverless Highway: Some sources in the industry are assuming the worst when it comes to advances in trucking and are predicting that drivers are swiftly and easily knocked out by employing technology that does not operate around a human pilot. This theory is perhaps backed up by other American industries that are facing a loss of jobs due to automation, though many of these positions are vastly different than trucking and therefore rely upon vastly different protocol. Midway through 2017, we are seeing a lot of talk about these trucks, but very little action taken by companies that are promoting them. However, this does not stop well-known companies from expressing interest in the market and trying their hand in a hot commodity. Starsky Robotica, a startup technology company not traditionally associated with trucking has reported that it plans on testing more vehicles on highways in states like Michigan and Florida without a driver in the truck. Starsky may not be entirely indicative of other technology companies, but it gives one an idea of the attention that many entities have invested in the idea of developing self driving trucks further. One of the real issues of concern is safety and how road authorities and agencies will monitor these trucks in relation to how traditional trucks are currently monitored and held accountable. 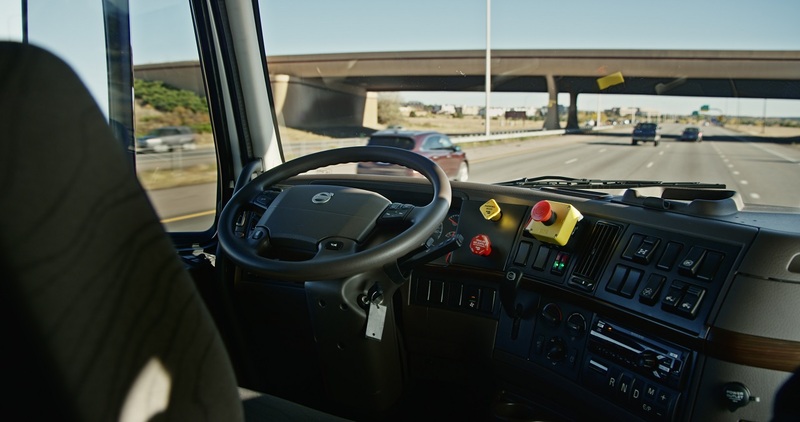 As safety is frequently a growing concern on the roads for commercial vehicles that are already extant, the logistics and law that would have to go into effect regarding driverless vehicles is insurmountable. Many big names have been attempting to get a foothold within the industry to sell these vehicles (i.e. Tesla and Uber) but they do not yet have the recognition within trucking nor the name power that a company like Peterbilt or Volvo has. Names like the aforementioned companies inspire confidence in those familiar with trucking and have become household names. They may choose to partner with Tesla and the like, but its unclear whether or not even their popularity can convince the average driver of the legitimacy of the self driving trucks. It seems the industry is currently split on how they are regarding the idea of trucks without drivers. Some see it as a benign threat that is only observable when looking into the future, others perceive it as an immediate danger that may be displacing trucking jobs more quickly than we anticipate. The news headlines that read along the lines of “Driverless Trucks Expected To Dominate Roads By 2025” seem to be sprouting up over several outlets, with reports that provide (sometimes unfounded) claims regarding how proliferate these rigs will be across every highway in America. Some heartening news is that many existing trucking companies see the threat as a faraway one (if a threat at all) and have therefore doubled down on reinforcing the quality and quantity of their current job offerings to drivers. Waving away the potential disruption that many are worrying about, many trucking companies would rather focus on the present state of occupations in their field than worry about the potential lack of openings down the line. The trucking industry is much more intelligent and reactive than outside sources may give it credit for. Rather than simply panicking at the idea of drivers losing their position as kings of the road, the world of trucking has come up with intelligent, informed, and carefully crafted responses to the impending idea of self driving trucks.